I love my compost pile but there are many reasons that people are unable to have a compost pile or bin. 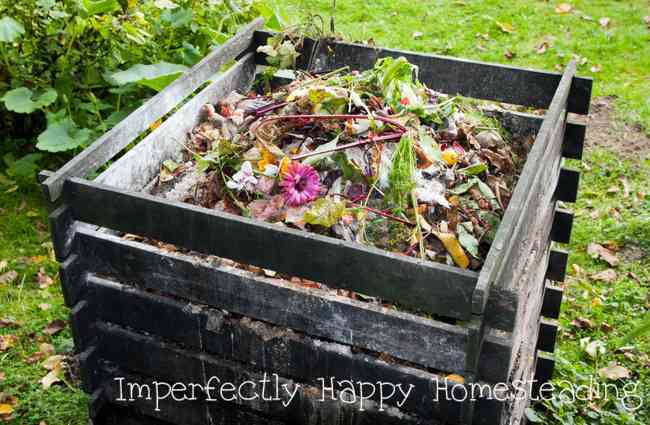 But don’t be too sad – you can still improve soil without a compost pile. There are 6 key ingredients you can add to your soil to make it rich and healthy. The best part about these 6 ingredients is that 4 of them can come right out of your kitchen without costing you a dime! The other 2 won’t cost you much either. Most of your real food items are going to go into your compost But I don’t recommend put cooked foods in. The cooking process pretty much depletes the food of the good nutrients you’d wan them to add to your soil, so they really aren’t doing your compost bin any good except taking up space. 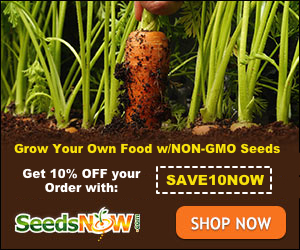 Stick to your raw foods, and organic non-gmo foods are best; we don’t want residual pesticides in you or your garden! 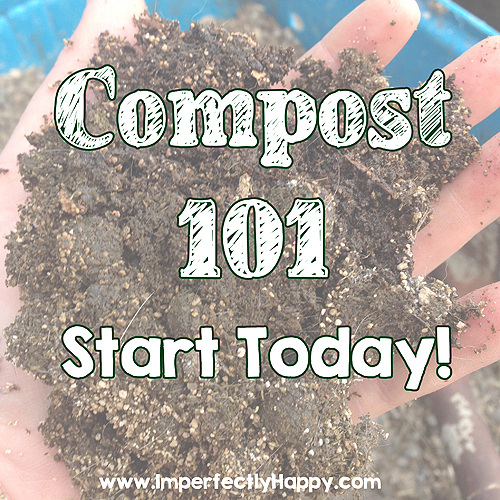 I have a list of 10 Things to Never Compost to help guide you…. Troubleshooting your compost shouldn’t take too long and soon you’ll be creating your own garden black gold. 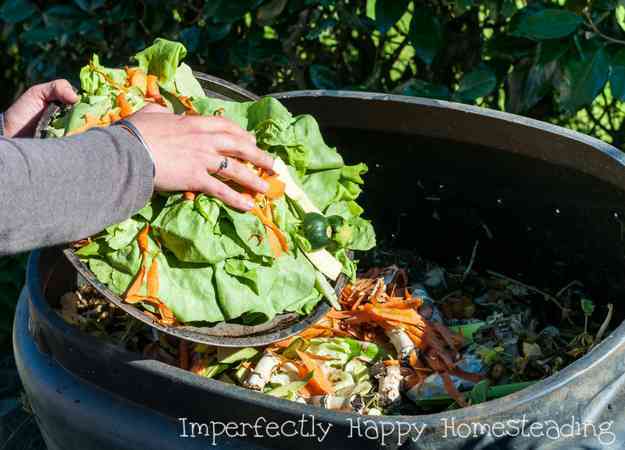 Composting isn’t terribly difficult but sometimes you just hit a hiccup; these tips should help you find your issue and correct it. Whether you’re composting in a fancy composter, a pile or a converted garbage can – troubleshooting your compost is pretty much the same. So find your issue in the list, and the use the solution to get things back on track. I’ve learned these the hard way, I hope you don’t have to! Well the first question I’d ask is what does it smell like? Ammonia – this is probably caused by too much nitrogen in your pile. Give your pile a good turning and add more brown material to it. Rotten – Your pile need oxygen! Give int a turn. If you use garbage cans, like me, then try using a compost aerator. I personally use a small piece of rebar (like this guy). Make sure you aren’t watering your compost too much – damp, not wet.